A good online grammar check FREE – that’s what you want. Or need. A grammar checker tool that could help you correct your grammar and spelling errors. And which checks your papers and articles for plagiarism. Grammarly is one of those tools. And as I have used it for over a year already, I want to share my experiences with you. Read and see if the tool suits you. Price: Free Plan and from $11.66 per month. Final Verdict: Good online grammar checker tool. Worthy to give it a try. Grammarly grammar tool is an online application. It means you must be connected to the Internet, and your connection must be stable. Only then it can analyze your texts. Grammarly includes quite a few different products and features and I try to cover at least some of them in this review. 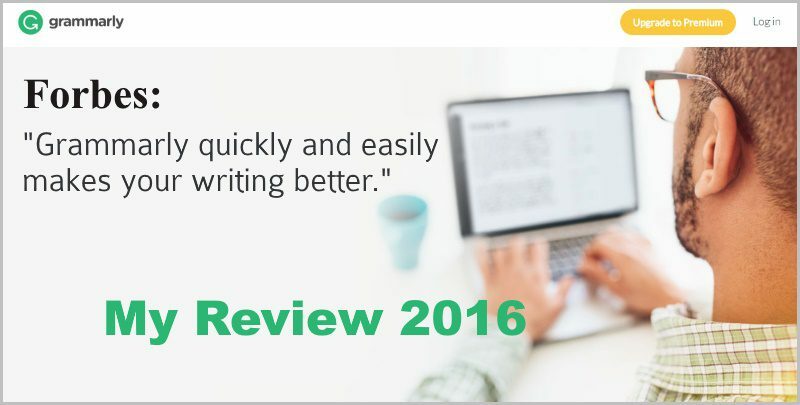 The reviews from 2012, which you can still find from the internet, have many complaints against Grammarly. One of their complaints was that Grammarly did not have the option to choose between American and British English. They claim it is the best grammar checker tool in the world. If it is the very best this I do not know. Because 1) I have not used other grammar checkers yet. 2) I have not done any comparison tests. But, you can be certain, Grammarly is one of the best grammar checker tools available. Let’s start with the price. The obvious reason why I want to do this is that most of the Grammarly features and benefits come from Grammarly Premium plan. Yes, Grammarly has a Free plan indeed. You can use its free grammar checker if you want. But I want you to have a clear picture of what you get (and equally, what you don’t get) when you opt for a Grammarly free check. All the browser extensions (for Chrome, Safari, and Firefox) are free also. I have used Grammarly free plan for a while, and it helped me. But it was limited. 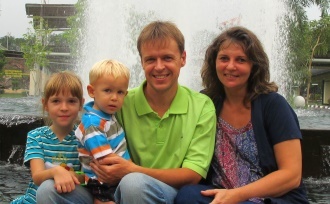 I needed more help, and that’s why I opted for its Premium plan. Frankly, I have not regretted it. It works. Well, how much does Grammarly cost? I went yearly. That’s how I save the most. Let’s do the numbers. $139.95 per month is only $0.38 per day. That is not, I think you will agree, a big number. With only one-third of a price of a Dunkin Donuts’ donut, you can fix your grammar and spelling errors. A browser based online editor where you can type (or copy-and-paste) your text and get it instantly analyzed by Grammarly. That is a Grammarly service with a price tag. I have not used it so I cannot comment it. If you are not in a hurry then proofreading a 1000 word article will cost you $20. If you want to use Grammarly outside of its own editor, you need to install its plugin. Again, I have not used them so I cannot comment. If you are interested, check them out. Is the world’s most accurate grammar checker. Grammarly catches over ten times more critical grammar and spelling errors than Microsoft Word. Corrects over 250 types of grammatical mistakes, while also catching contextual spelling errors and poor vocabulary usage. Helps you write mistake-free on Gmail, Facebook, Twitter, Tumblr, WordPress, and nearly anywhere else you write on the web. Spots erroneous use of lose/loose, affect/effect, lie/lay, there/their/they’re, and many other commonly confused words. Helps you enhance your sentences with Grammarly’s context-optimized word choice suggestions to instantly improve the readability of your document. No matter what your writing situation is, Grammarly adapts to your needs, giving you the confidence of mistake-free writing every time you write. Significantly cuts down on all the extra time you spend rereading and rewriting. The claims are noble. But does Grammarly work? 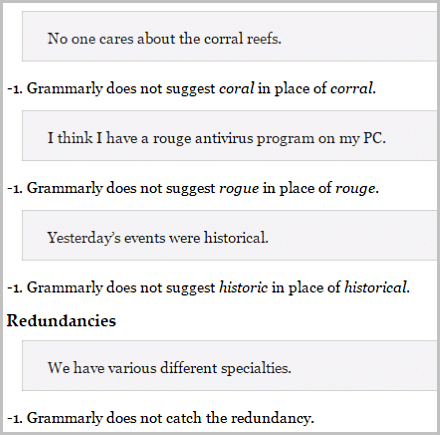 In early 2012, the Grammarist blog put Grammarly to the large-scale grammar test. They fed 55 test exercises with a total of 71 different grammar errors into Grammarly to see how it performs. According to that test, Grammarly failed miserably. Out of these 71 grammatical errors, Grammarly could solve only 22. It was less than one-third of all errors. But that was back in 2012. A lot of water has passed under the bridge since then. Out of these 71 grammatical errors, Grammarly could now solve 46. They are doing better but clearly are not there yet. Surprisingly, Grammarly could not find four errors which it found back in 2012. How come, I don’t know. Anyway, even though this test result is somewhat weak, I think Grammarly has improved a lot and is a helpful tool for you. At least, it is for me. I am using it already over a year and am happy with it. I am not euphoric, but still happy. There are some minor things that I do not like about Grammarly. 1. To use Grammarly you have to have an extension AND log in. To get Grammarly help, the login is a must. 2. Sometimes Grammarly does not find errors right away. While testing this instant grammar checker for this review, I noticed the following: Sometimes (not often but still) Grammarly finds an error in an instant, but a moment later it does not find it. Weird. The same phenomena happened with plagiarism check. For me, it looks like the product is not fireproof yet. However, my personal one year experience is that Grammarly does it’s job well. I have used Grammarly Premium for a year already. And I am happy with it. It could be better, of course, but in my opinion, it’s a tool that I need. Is worth its premium price tag. After all, when you pick the Grammarly Annual Plan ($139.95), it makes only 0.38 cents per day to check your blog post. Certainly you can afford it. And it’s way cheaper than use a human proofreader. Human proofreading would cost you much more. So if you are price-sensitive, I recommend you to opt for Grammarly Premium plan instead. 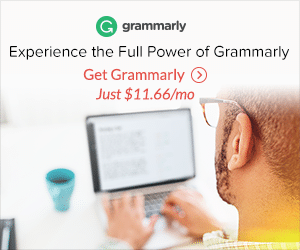 Yes, I want to try Grammarly Instant Grammar Checker for Free. Dear reader. Thank you for taking time and reading the review. Your opinion is important to me. Do you have any experience with Grammarly that you want to share? Please drop me a comment below and I will return with a response. I am a blogger and I know the importance of the Grammarly. It has helped me to improve my writing skills. Wonderful post. Keep up the good work. I wish you all the success in your niche. I thought that in order to write a good grammatically correct text, I need to learn everything about sentence structures. Now I think that basic rules indeed can help to avoid mistakes. I myself use Grammarly when I need to check my text work for mistakes. I also like https://virtualwritingtutor.com/. I find one more checker http://www.grammarcheckeronline.info/ which discovered recently, looks like Grammarly for me. Hi, Poppy, and thank you very much for taking time and dropping your thoughts. You are correct, even if your sentence structure is ok, still Grammarly (and other similar programs) quickly and easily help you iron out the mistypes here and there (plus point to those rather poor sentence structures). Therefore, I have found Grammarly extremely helpful, especially because I am not a native English speaker. In fact, I have learned a lot about the English by working with Grammarly. That’s why I recommend it. And thank you for mentioning two other Grammarly alternatives as well. I want to try them and see if they do better than Grammarly.